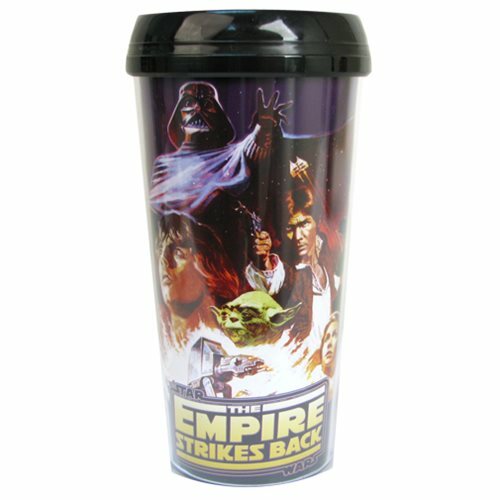 The Star Wars Empire Strikes Back 16 oz. Travel Mug features images from arguably the best film in the series, including Yoda, Chewbacca, Boba Fett, Darth Vader, and more! Mug holds up to 16 ounces of liquid. Hand wash only. Not dishwasher safe. Do not microwave. Measures approximately 7-inches tall. Ages 13 and up.